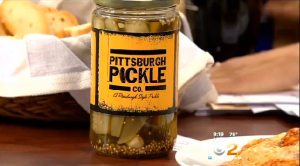 We are yakkin’ with Joel, Will and John of the Pittsburgh Pickle Company. These guys are idea men! But better yet, they are “Drink Beers and Get Ideas” men. Where can ya get these pickles? Click the pic to see their website. BIG thanks to The Beerhive for letting us have a corner of the place! Next articleCharcuterie? What is that?